Obsidian is an igneous rock that is formed when volcanic lava cools without crystal growth. The result produces a black stone with a very glassy texture. Obsidian is mostly silicon dioxide. 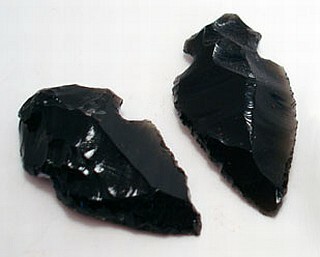 Because Obsidian could be fractured and worked into weapons, it was highly valued in the stone ages.